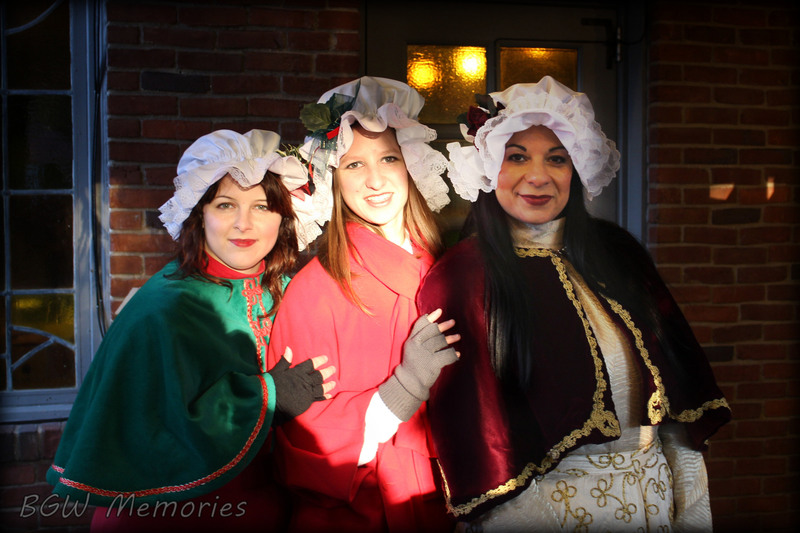 Christmas Town 2014: A Time to Relax and Rejoice! December 3, 2014 1:38 AM / 2 Comments on Christmas Town 2014: A Time to Relax and Rejoice! Here it is, 2014, and Thanksgiving is already behind us. You know what that means right? Busch Gardens Christmas Town has begun! The park is ready to boost our holiday cheer. But you know what the best part of that is? Nestled amidst the hustle and bustle of the season, the familial obligations, and shopping chaos, Christmas Town offers up a chance to slow down and smell the roses; or in this case, soak in the beauty over 8 MILLION lights! Relaxing at Christmas Town is, hands down, my favorite tradition. This year was no different. I attended the opening day festivities and it was a rather cold evening; alright…… very, VERY cold evening. 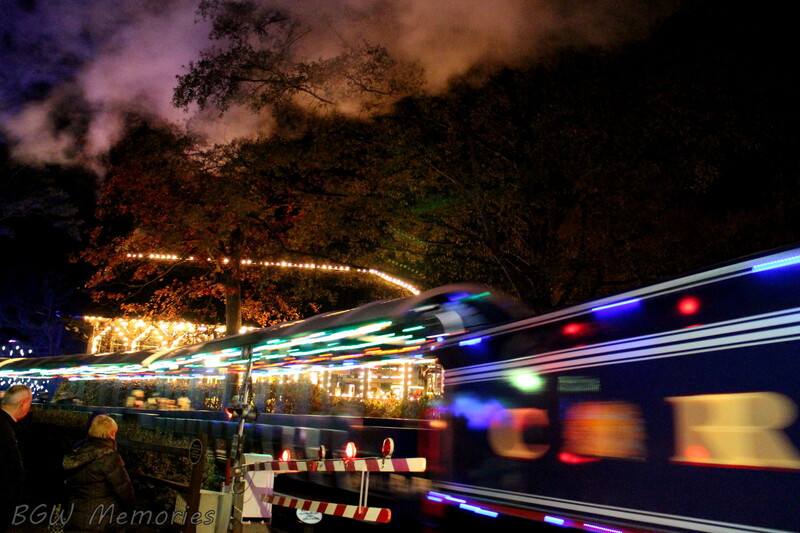 Nevertheless, the entire park looked stunningly beautiful that frigid, frosty November night. Upon entering, several Marines were stationed outside collecting unopened toys for the Toys for Tots program. Their enthusiasm and smiles warmly greeted those entering the park. There is still time to assist: Donations will be accepted through December 14th. Just drop new and unwrapped toys at the Busch Gardens Welcome center to support local families in need. * I changed that whole paragraph to rhyme on my third edit. You’re welcome. In front of the Globe, snow falls from the sky at night and Carolers and a Brass Band wander through the crowds at various times each day. The Hamlet is simply dazzling at night! Fezziwig makes sure to smile and keep everyone in Good Cheer! Over where the portrait artists are during the regular season, the park has converted the area to a bar staffed with Victorian dressed baristas, who serve you all kinds of tasty beverages, spirits, and treats. 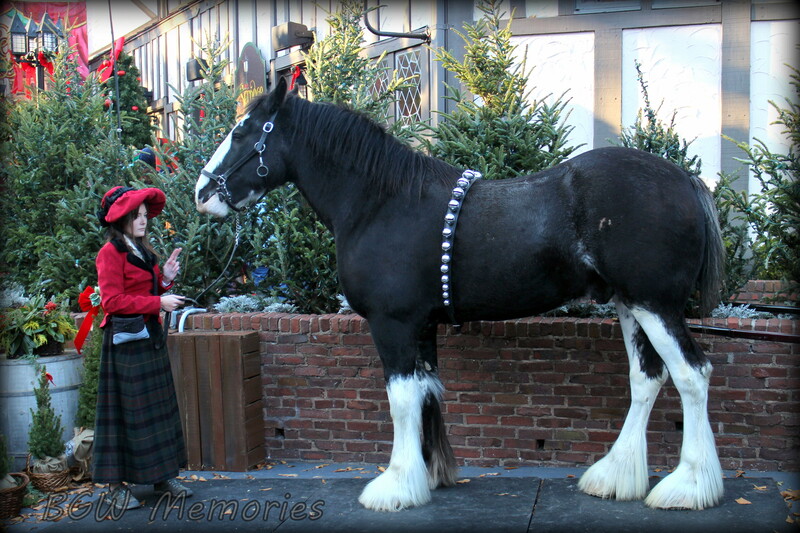 In addition, Squire’s is now Dickens Tavern and serves guests traditional Christmas dinners. The Globe now features a new show aptly named Scrooge No More. My review? I was blown away! The show is an instant park classic and a hopefully a tradition for many years to come. As the title suggests, it is based on Charles Dicken’s classic tale of Ebenezer Scrooge and his journey to rekindle his Christmas spirit. 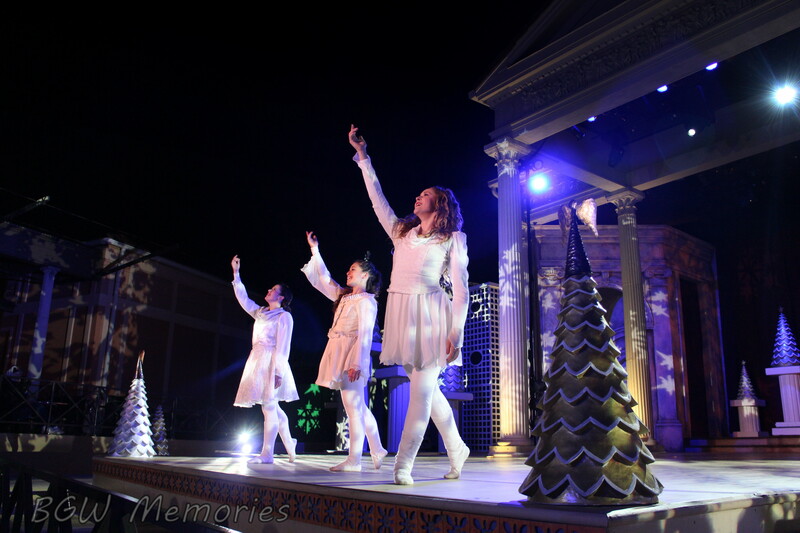 It is a perfectly balanced with music, dance, theater, and high tech special effects. I promise to write a full review after this season. But for the sake of those who have yet to see it, I dare not ruin the magic and surprise! *On a side note: My appreciation goes out to all those folks who worked diligently to put this together. 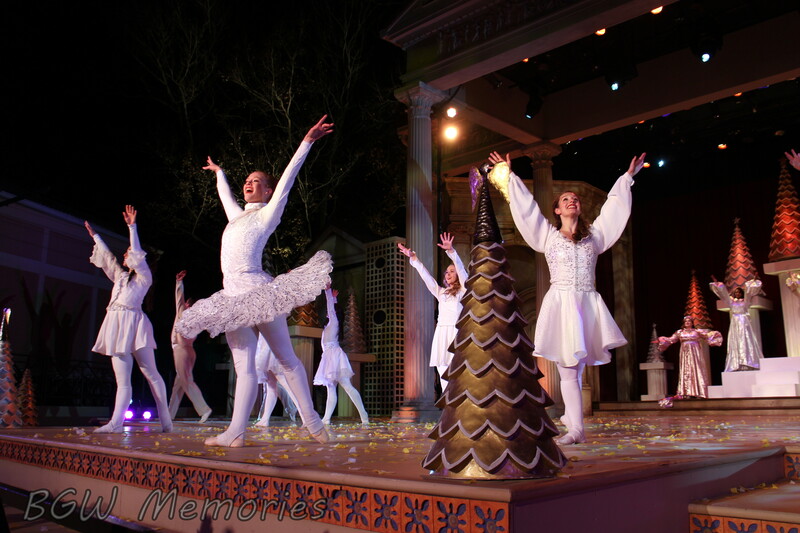 It is a strong, well choreographed musical that as a local, I am honored to have showing at Busch Gardens. Love, Love, Loved it! Outside the Globe Theater, there is a photo opportunity where you may take a picture of yourself with friends and family with very Victorian themed backdrop. Possibly with a Clydesdale! Keep in mind that the horses have a limited time range with guests, so try not to fret if you miss it. The Highland Stables will still offer photo packages. 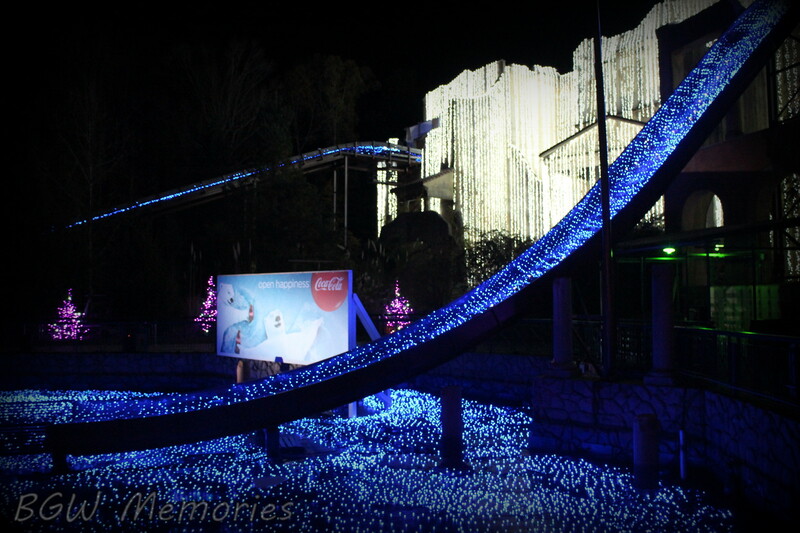 The park offers a Single Day Photkey and a Premium Photokey (good through the entire event – until December 31st) . There are differences in price and what is included, so please link here if you are interested in either deal and read more about exactly what each package includes, availability, and pricing: buschgardens.com/photokey. Get to each show early as seats go fast! Gloria especially. On busy days the Festhaus may reach capacity, so if you wish to eat dinner and watch the show, plan your trip accordingly. Dress in layers. The Virginia weather is iffy, always. It is also very warm in the Festhaus and in the inside theater. So keep that in mind. Download the Busch Gardens app or pick up a map upon entering the park to have an idea of the showtimes. If you are a wine drinker (like me), you may wish to take advantage of the lovely wine glass set you can gather by visiting the France (Le Belle), Germany (German Gifts), and Italy (Bella Casa). These shiny goblets, etched with Busch Gardens on the base are sold as is, or as I prefer… (for a little extra cost), with wine in them! They are so sparkly and festive with Busch Gardens softly etched on the base, that I was in complete “Must Have” mode when I saw them. So yes. Thank you Busch Gardens. I always wanted a themed sparkly wine glass set of my very own. Pace yourself. There are several places offering wine tastings. If you purchase a wine tasting you get a Christmas Town wine glass and when using the glass at the other locations, you get a discount. 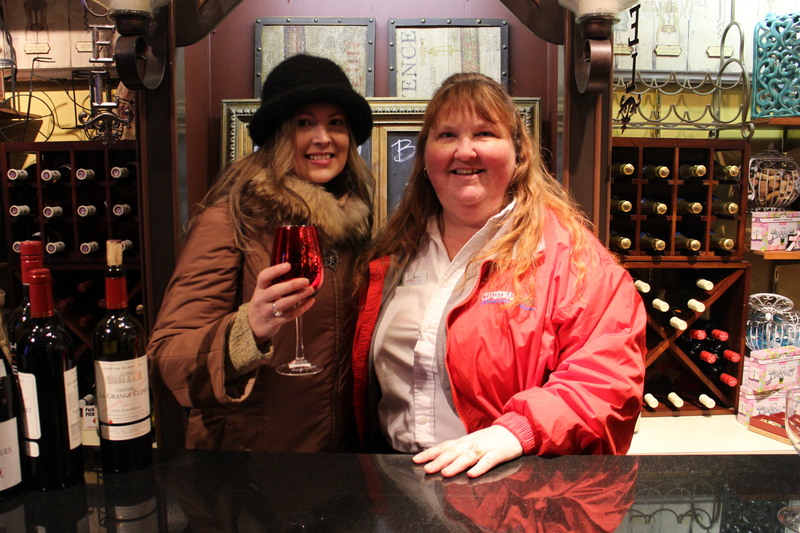 Don’t forget that if you are a season pass member, even wine has a 10% discount! Christmas is also the season of giving. So don’t forget to peruse all the goodies at the gift shops this year. You may just find that perfect gift for your loved one. For me, the Emporium is one of my favorites. You can get the latest Christmas Town items including the 2014 ornaments, Department 56 Colonial Williamsburg sets, and even personalized custom ornaments. 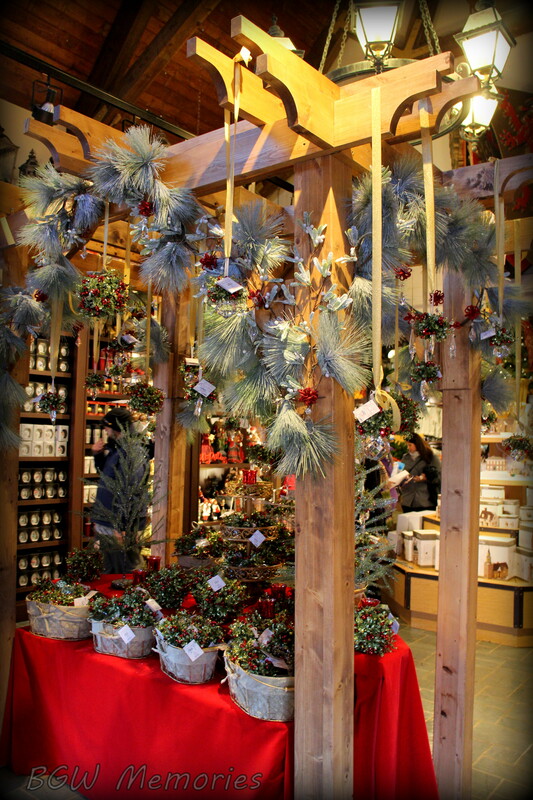 **They also had this mistletoe, frosty display that was so pretty. So yes, I had to get a picture of it. So basically Christmas Town where you can enjoy, world class entertainment, lights-lights-and more lights, rides, seasonal foods and beverages, and visit jolly ol’ St. Nick all-in-one! 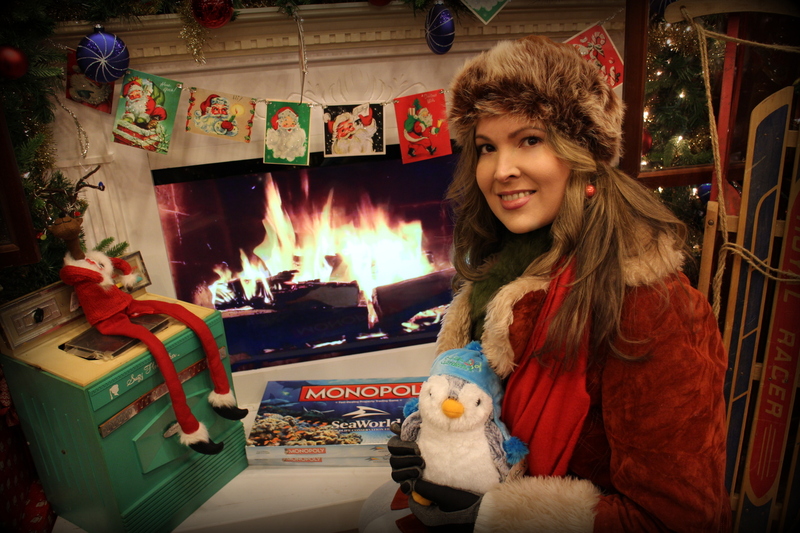 Speaking of Santa, I was finally able to enjoy Fireside Feast! If you want your family to get a unique experience with Santa, this is it. The dining extra is something best spent with the little ones, but I highly recommend it. In case you are interested: The food was well seasoned and satisfying. During the meal, Santa recites the Night Before Christmas in a building that is both cozy and as warm as toast. After the recital, everyone gets a chance to go up on stage to visit with Santa, Mrs. Claus, and the Elves. It certainly made me feel like a kid again! Yep. 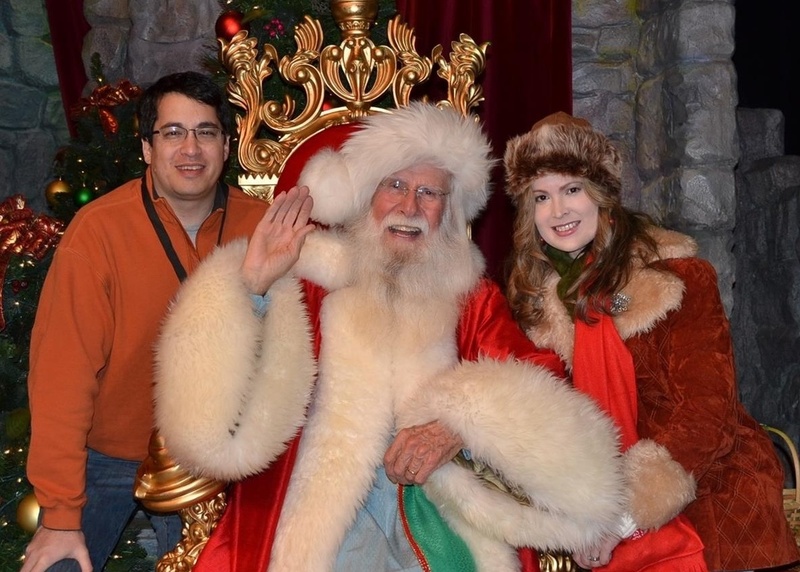 Even I saw Santa…… and took my husband with me! 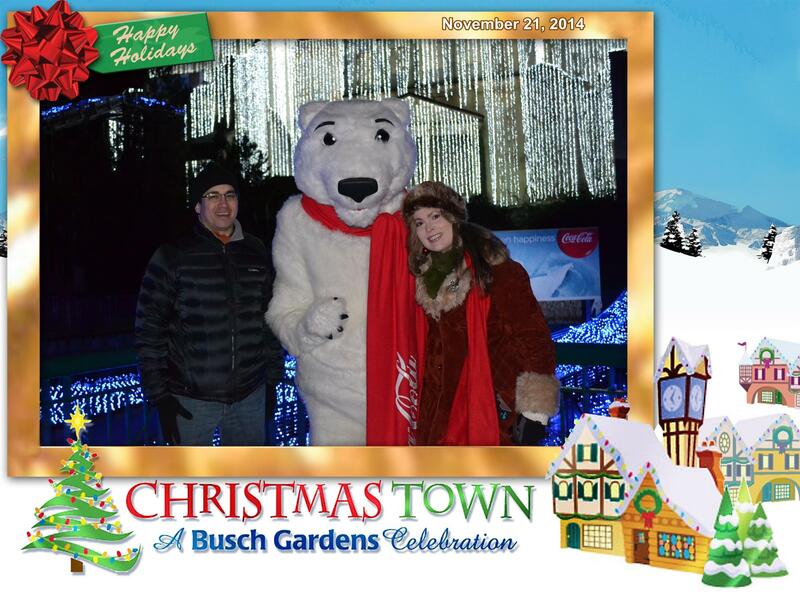 Overall, Busch Gardens tied Christmas Town up in an exquisite bow for all of us to open and enjoy. I wish I could cover every store, every show, every little thing; but my suggestion is to get out there and see it for your self!